A variety of paper weights, colours and patterns ideal for creating resin paper for jewellery and mixed media applications. 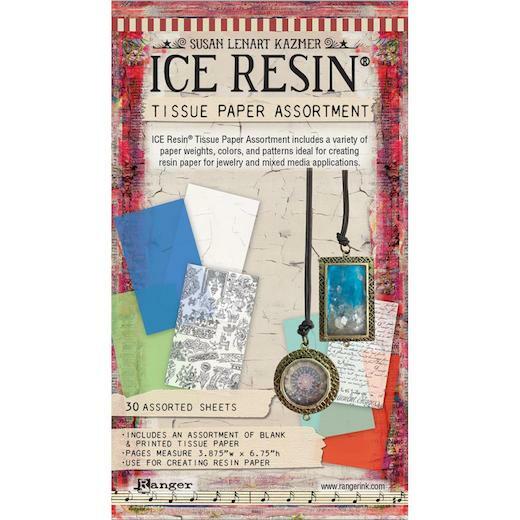 Use with a squeegee to gently and evenly apply resin to the tissue paper, create shaker box bezels and pendants, layer into bezels for mixed media jewelry, create pages for art journals and other mini books, or collage into mixed media projects. This package contains thirty assorted sheets of tissue paper measuring 95mm (3.8") x 172mm (6¾").